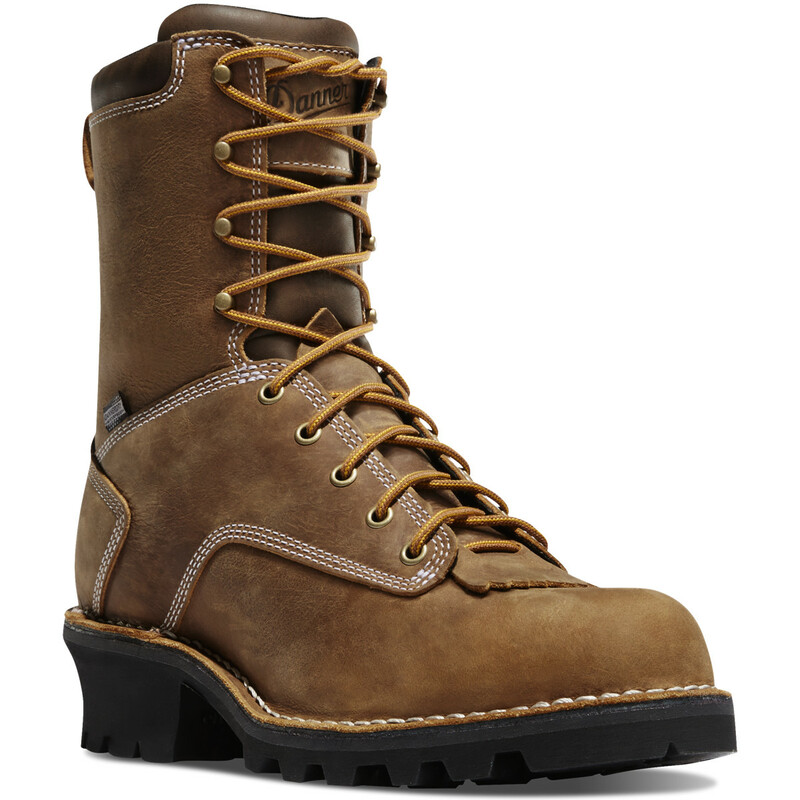 They may look very similar, and sure, they have similar features, but logger and lineman boots are actually quite different due to the different purposes they serve. 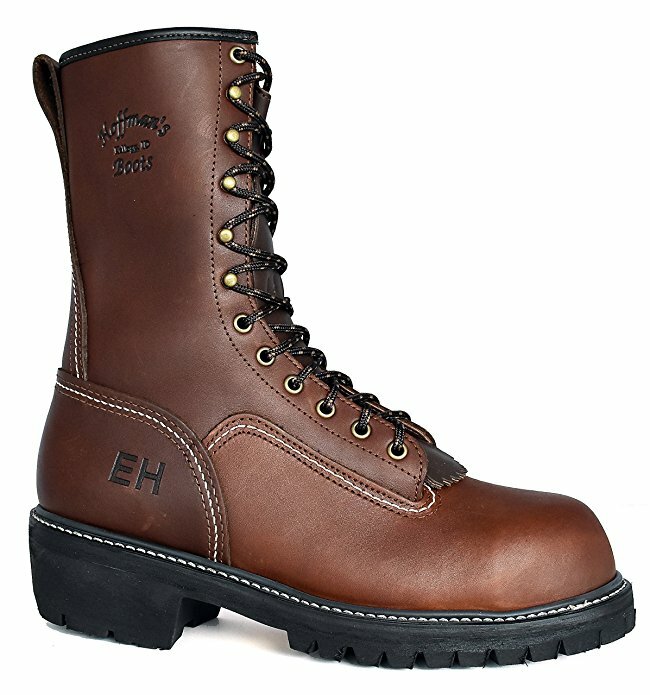 Logger boots are designed and made to provide ultimate traction through the caulks on their outsoles which allows the lumberjacks to roll logs. 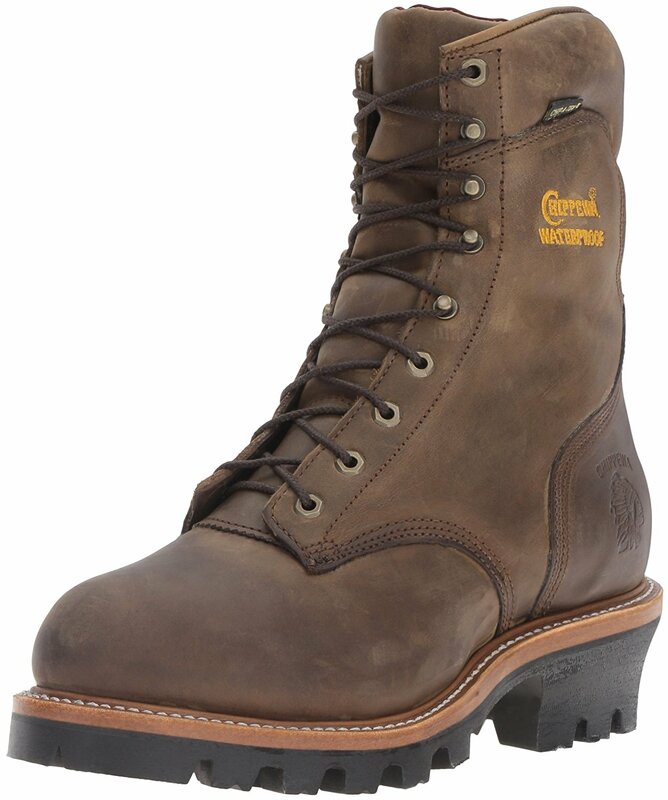 Lineman boots are used by linemen, cable installing technicians, arborists, tree surgeons and tree service workers. They have become popular among motorcyclists as well, who like the extra support and the leather side patches. Traditionally, these are made from heavy cowhide leather, and usually they have no lining. 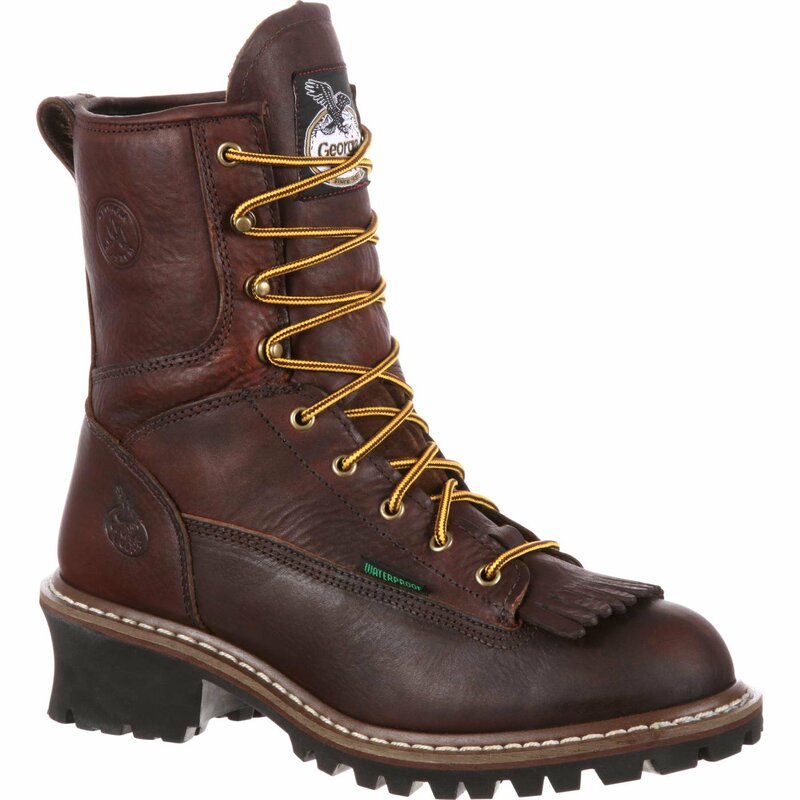 They feature the special strong steel shanks to prevent the boot from flexing when climbing a ladder or pole. They are usually from 14 to 20 inches high but can be custom order to up to 38 inches. They also have steel shanks which provide extra support and traction which makes climbing poles or trees easier and safer. 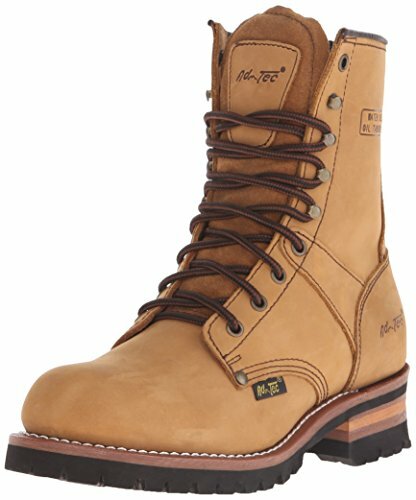 Both logger boots and those for pole climbers are usually made from thick leather, which has not been split, and is much thicker than the leather used for the uppers of other work shoes. 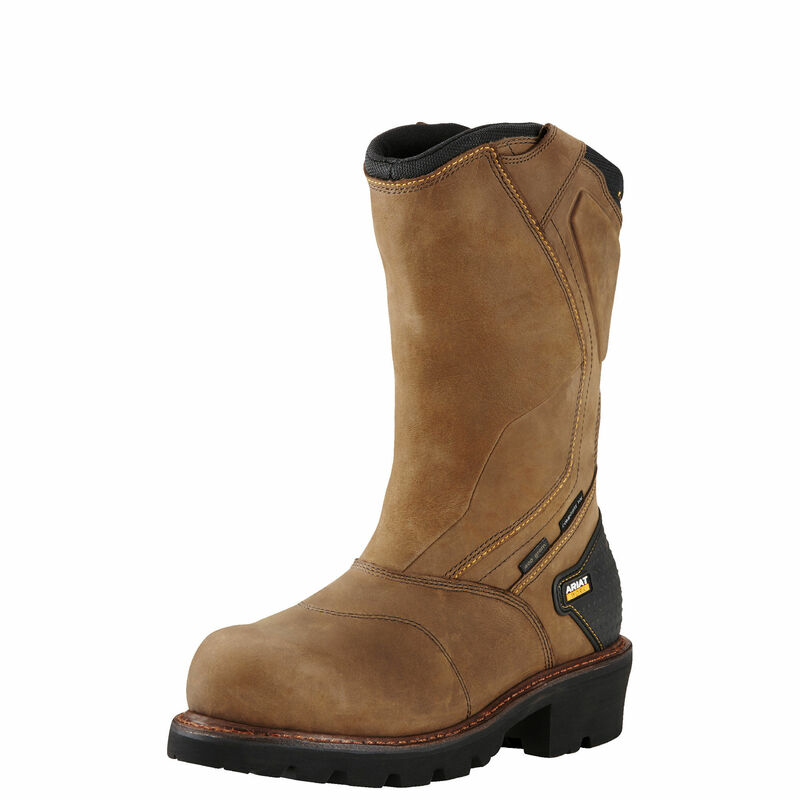 The leather upper of both types of boots is usually oil tanned and has not surface finish. This means that they are fully water resistant, plus they are breathable. Both usually feature the kilty or false tongue. 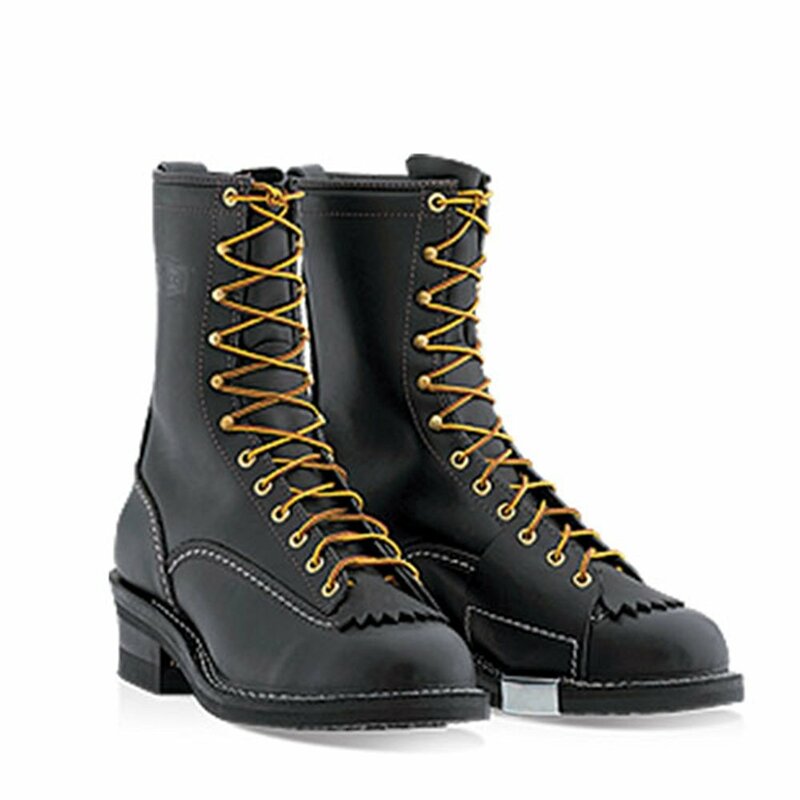 The 8” leather strip with a serrated edge on the bottom of the lace eyelets. The original intention was to provide some padding the instep and the laces. 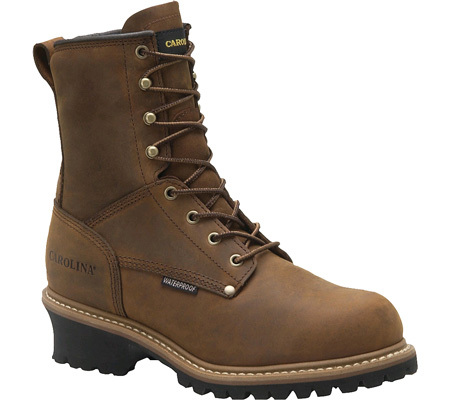 Lineman boots have special accommodations allowing for wearing various spikes for climbing. They also traditionally have leather patches on the side as well as side plates made of steel to protect the inside of the toe area from scratching and injury during climbing. Another common feature between them is that neither is fitted for wearing in extreme cold conditions. The soles can harden up from freezing temperatures, making them slippery and dangerous for walking and climbing or log rolling in the snow. 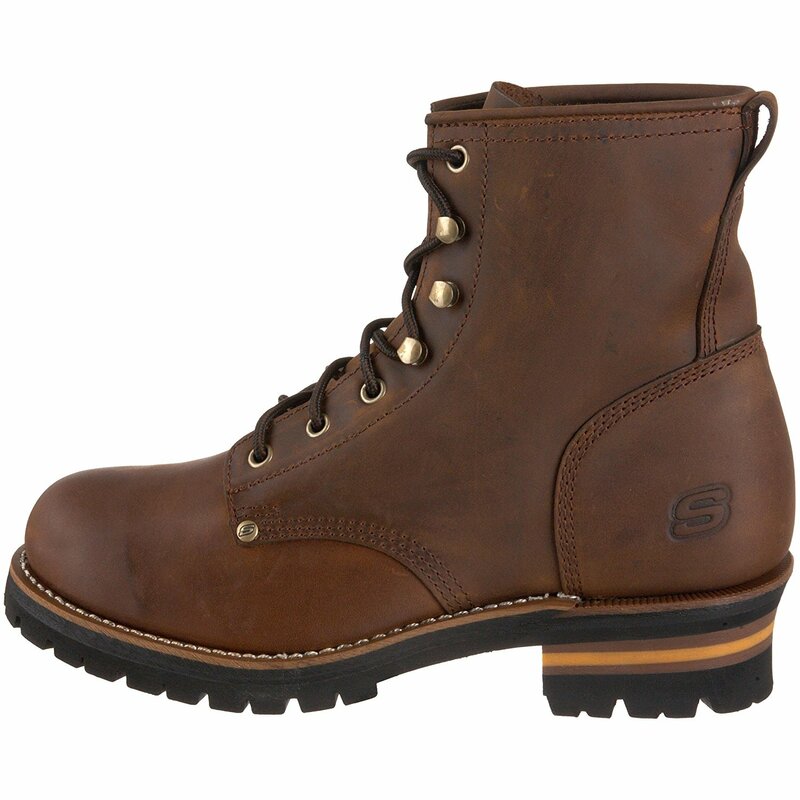 The differences between them is that the Lineman boots have several added special features to make them suitable for pole and tree climbing, and to actually protect them in the process of climbing from the special climbing irons which linesmen wear. 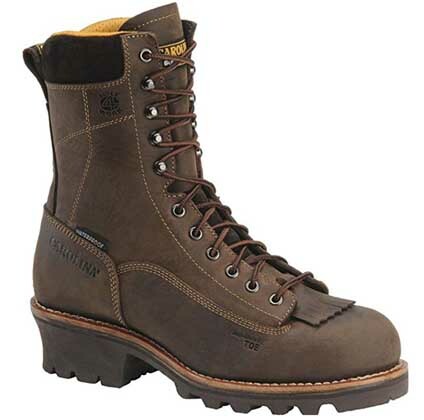 Linesmen boots are usually black, but they can be found in redwood and brown as well. various heights up to 38 inches.